Grading Rail Stations: How Does Your Local Station Stack Up? A new report out today grades California’s rail stations on how well they encourage local residents and workers to ride transit. The report, Grading California’s Rail Transit Station Areas [PDF], examined almost 500 stations in the state’s major transit rail systems and the neighborhoods around them. The purpose was to measure how well they “accommodate population growth, boost economic activity, and improve the environment,” as the subtitle has it. Most of the news coverage so far has been about how well or how poorly individual rail systems did on their “grades.” L.A. Metro scored in the average range. San Diego got poor grades. One of Long Beach’s Blue Line Stations got a failing grade. The highest-scoring stations are within dense urban areas. San Francisco Muni’s Church and Market street station and L.A. Metro’s Westlake/MacArthur stations both got scores of A+, for example. The Church Street station is located in a high-density residential area that contains a lot of households that do not own cars. Both stations have lots of close-by destinations like shops and restaurants, and good access to other transit stops. The lowest-scoring stations are located in low-density, car-dependent areas. San Diego’s Gillespie Field Station got an F, scoring poorly on all measures. There is almost no transit use by residents or workers located near the station. However, says the report, this station “may generate adequate ridership relative to its cost” because it serves primarily as a way to access the airport. BART’s SFO station got a low score for similar reasons. So the point of the report is not just to rate how many riders use the station, but how well the station’s neighborhood encourages local residents and workers to use transit. The lowest-scoring station in Los Angeles is Wardlow Station, located on the Blue Line. It received a high mark for safety, because very little crime is reported near the station—but that may be because nothing happens in the area. The station is surrounded by wide streets and large parking lots, and has very little pedestrian activity, jobs, or housing. To highlight good neighborhood design near rail stations, the authors created a rubric using eleven metrics, such as the percentage of residents and workers who use transit, the number of jobs and households within a half mile—that being the distance that is generally agreed most people are willing to walk to transit—and the walkability of the area as determined by Walk Score. The overall grades are meant to give an idea of how well station areas encourage residents and employees to ride transit, connect to amenities, and create vibrant, equitable, and thriving locales. Interregional rail was not included in the project, so Amtrak stations were not studied. Although the Central Valley has no rail transit systems, the authors thought it was important to include it in the project since it has the fastest-growing population in the state. Instead of rail, they graded the busiest bus transit stops in Bakersfield and the future bus rapid transit stations in Fresno. They had to adjust the scoring slightly, as less data is available for those areas, but results were similar: the better-performing stations were in downtown-like environments, and the poorest performers were at the outer edges, without significant surrounding development. 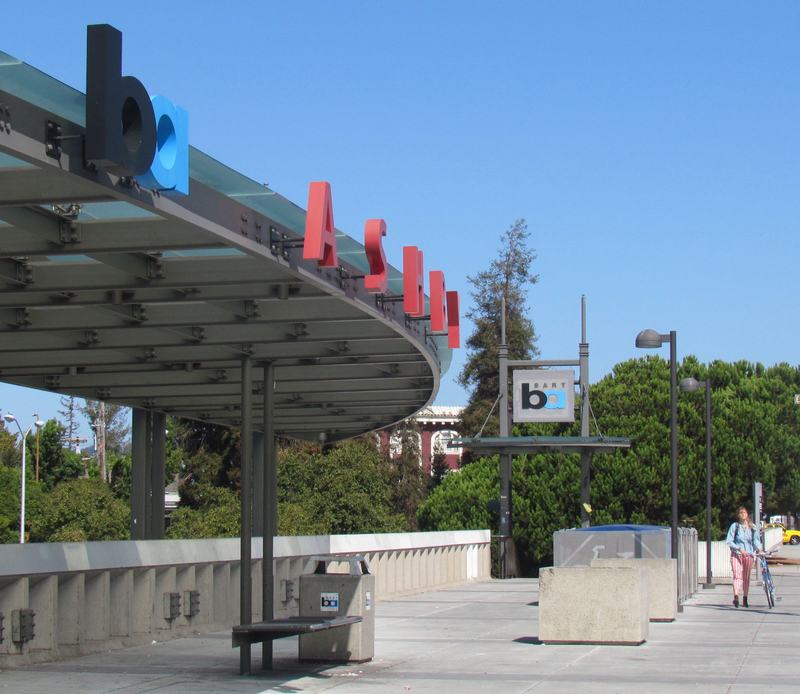 “We hope that grading the state’s rail transit station areas for how well they encourage ridership and create vibrant, rail-oriented neighborhoods will help highlight best practices,” said Noel Perry, founder of Next 10, which commissioned the report from the Center for Law, Energy and the Environment at UC Berkeley School of Law. Better, more compact station-area development, says the report, can not only encourage transit ridership but can also create needed housing and jobs without increasing traffic. Stations that scored well can serve as models for other areas to emulate, and the underperforming stations are ripe for attention from state and local leaders. The report concludes with suggestions for policy makers at all levels, such as state and local support of transit-oriented development, removal of restrictive land use policies, and improving pedestrian and bike access to stations. "We need development tools so you don’t just get off the train in California and there's nothing there but a platform...or a parking lot and a Costco."